Our CT River inspired Mason Jar Soy Candles are hand poured using 100% soy wax in 16 oz smooth mason jars which are available with your choice of black or pewter primitive lid. We use only the finest fragrance oils and offer a large variety of wonderful scents. Our candle labels feature various seasonal Connecticut River photographs and give our candles a unique edge. Our Handmade soy candles can be order dyed or undyed. Should you choose to have your candle dyed, please refer to our Scent List for the dye color used for each scent. Please note 100% soy wax can exhibit frosting which is more noticeable in dyed candles. For more information, refer to our candle care section. Since moving to Connecticut, I've been amazed at the number of wonderful local businesses and products this small state offers. For candles and related items, CT River Candles cannot be beat. 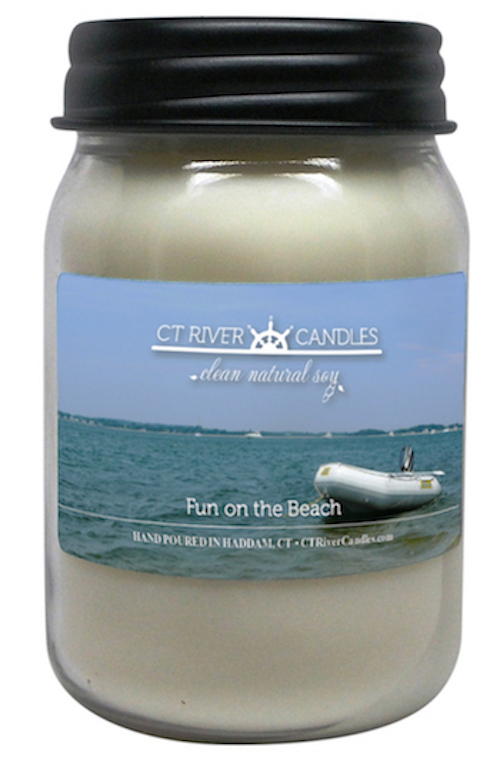 Whether you choose to pick one up at one of the vendors throughout the state or mail a few to a loved one via the user friendly and safely-packaged shipping service on the website, a CT River Candle is always a great gift idea. I highly recommend the hydrangea candle, but you really can't go wrong with any of the various scents offered. I've mailed these to family across the country and have gifted them to visiting friends, and each candle has been a big hit. There's a certain thoughtfulness behind each scent that makes you feel at home. These candles are awsome they fill ur house with great frangrence I’ve ordered three times now ! The tarts and wax melts r great as well they last for days! Better than yankee candle!! I will continue to purchase these! This candle has a really nice scent. The Vanilla Lavender scent is amazing. The images from the CT river on the jars are a nice touch. The candle burns nice and evenly . I only wish you had this scent in tealights and votives...I would definitely purchase those, too. We first ordered this candle in a smaller version as wedding favors for ourdaughters wedding guests . The jar itself looks great , it burns evenly and slowly . The best feature is that it smells amazing ! Fro their anniversary I ordered a few large ones to bring back the nostalgia of the wedding . 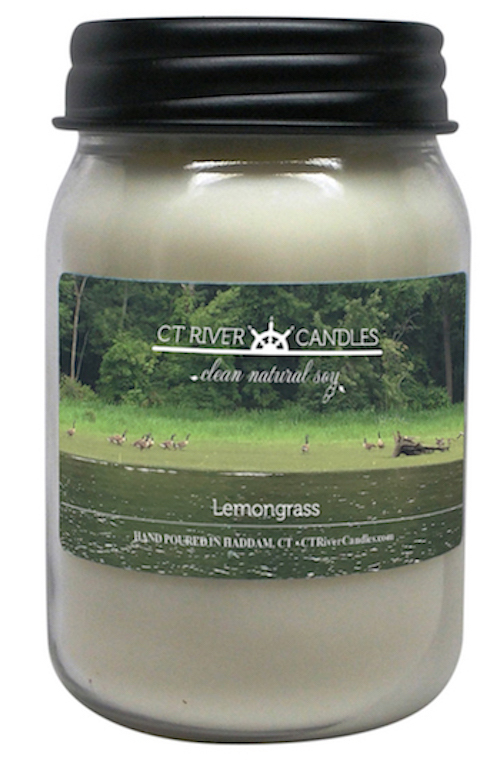 I've bought several this fragrance candle over 2 years with CT RIVER Candles. The fragrance is spot on to it's 1969 Grand Parent candle scent. Truly redefines the essence of the younger generation of that spontaneous generation. Of whom now are older and yearn to relive some of those special moments in fragrance . This clean burning soy candle will thrill all the senses and turn back the hands of time for those moments. Thanks much CT RIVER Candle folks for such product. Delightful fresh scent of Lilac. Love the fragrance - smells like my flowering bush outside! Love it. Burns nice and smells great. I was very pleased with this candle as I love vanilla. My friend felt the same so I ended up giving it to her and bought another for myself. I have bought additional candles and they are all great. THE SCENT FROM THESE CANDLES IS FANTASTIC! PLUS IT IS SOY SO NO RESIDUE REMAINS. I AM AN AVID CANDLE COLLECTOR, AND I WILL DEFINITELY RECOMMEND THAT PEOPLE BUY FROM YOUR COMPANY- I DEFINITELY WILL AGAIN! Fabulous full bodied fragrance that fills a room. You won't be disappointed. Try it! These candles are simply the best around! I've bought them for several years now in a variety of scents and have loved them all. The option of buying the candles "undyed" allows for the ultimate flexibility for placement in rooms, i.e. no color issues to be concerned with and a lovely, healthy, long lasting candle to boot! I WILL NEVER AGAIN BUY ANOTHER BRAND OF CANDLE! I purchased the Moonlight Musk and absolutely love the scent and how the candle burned. I would definitely purchase again. CT River Candles are awesome! Cranberry Marmalade is my new favorite scent. The candles burn clean and last a long time. I love that they are poured in Mason Jars with your choice of black or nickel for the lid. They make great gifts, although I do have a hard time parting with them! Great customer service and fast delivery if you order online. 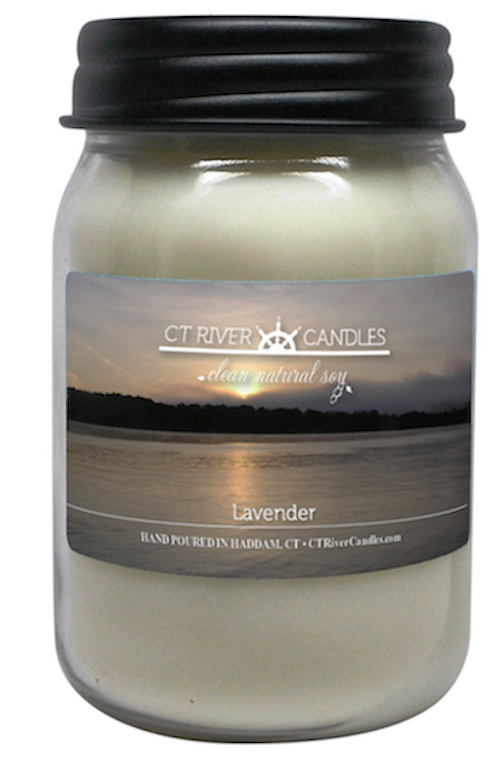 I love CT River Candles! The scents are wonderful, they burn clean and the jars are very attractive - no matter what room they are in. I love giving the mason jar soy candles as gifts all through the year. They are appropriate for bridal showers, baby showers, birthdays, house warming, hostess gift and holiday gifts. I like that there are different sizes, because you can decide to make the candle the main gift or if you select a smaller jar, it can be included in a gift basket. LOVE the candles - love the scents - natural soy burns clean, no residue. I highly recommend any product - you will be very satisfied! I have a CT River Candle in just about every room and love how well the fragrances filter through the whole house. Its great to change the scents out as the seasons pass and all of the fragrances are true to thier description. The Pumpkin Souffle smells good enough to eat! There are no ugly soot marks on any of my candles and they burn nice and evenly all the way down. I love the soy jar, the candle and the scent seem to last forever.. I love the lable too! Our CT Morgan Horse Association bought your candles last year for our horse show. The candles were given out to the first place winners in the championship classes. They were a huge success and the recipients were very pleased with them. You made everyone happy. Thanks for the great service. I am always happy to introduce my customers to CT River Candles. Once they make the switch to these from paraffin candles, they are die-hard converts to CT River. Clean-burning, long-lasting, and wonderfully fragranced, these candles are an exceptional value all around. They are the only candles used at my home. Love the Apple maple Bourbon! Love the Very Vanilla Scent! My wife and I are huge fans of the Very Vanilla scent! When we lite our Very Vanilla mason jar soy candle, the true scent of vanilla fills our house! Even our grand dog Murphy loves the scent! Every now and then we treat him to a small Dairy Queen vanilla ice cream cup, his absolute favorite. When the Very Vanilla candle is lit, his tail can't stop wagging!